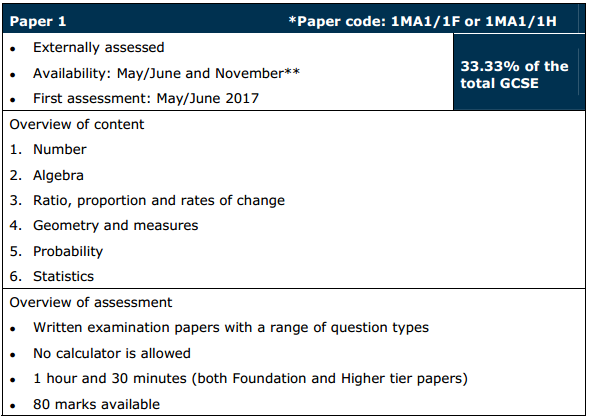 Examination Assessment (2015) …the papers! The other fundamental change is the level of assessment. From Summer 2017 there will now be 3 examination papers, each carrying 80 marks with one paper being non-calculator. 2. Removal of QWC questions (* questions) however the style of these types of questions will increase and additional marks awarded for methods. 3. A move away from the traditional Non-calculator/calculator topics segregation.